Unlock the true beauty of your nails. TRIND has a brand new look! We strongly believe beautiful nails are possible for everyone. At TRIND we have a passion for beautiful nails. That is why we are the experts of nail care, providing you with a carefully developed range of products that unlock the true beauty of your nails. Whether you prefer natural looking nails, or use different and fancy colors for different occasions, taking care of your nails is important to keep them healthy, strong and simply beautiful. Keep your nails shiny, healthy and prevent problems by hydrating and strengthening your cuticles and nail structure. With TRIND, beautiful nails are possible for everyone! Everyday life can damage your nails. However, there are other reasons like the use of artificial nails, a medical condition or aging that affect the nail condition as well. Do you experience weak, thin, or brittle nails? Splitting, breaking, or peeling nails? Sensitive or damaged nails? Are you a nail biter? Do you suffer from nail fungus? Whatever your nail condition may be, TRIND has the perfect solution for you. TRIND is the leading expert in nail care worldwide, with more than 30 years’ experience. No Time for a Daily Nail Care Treatment? For at least two weeks, discipline is needed for the daily removal and reapplication of a new layer of Nail Repair. Understandably, many women do not have the time for this daily nail care routine. However, with a little discipline the results are already amazing within two weeks! Not enough time? No worries! You can use Nail Repair as long and as often as you like when most convenient for you. TRIND Nail Repair strengthens nails from within. The nail plate is mainly made up of protein molecules, known as Keratin. The active ingredients in Nail Repair strengthens the keratin strands within the nail, resulting in beautiful strong nails in just two weeks when used daily. If you skip a day, don’t give up – just continue using the Nail Repair until you have achieved the desired result. 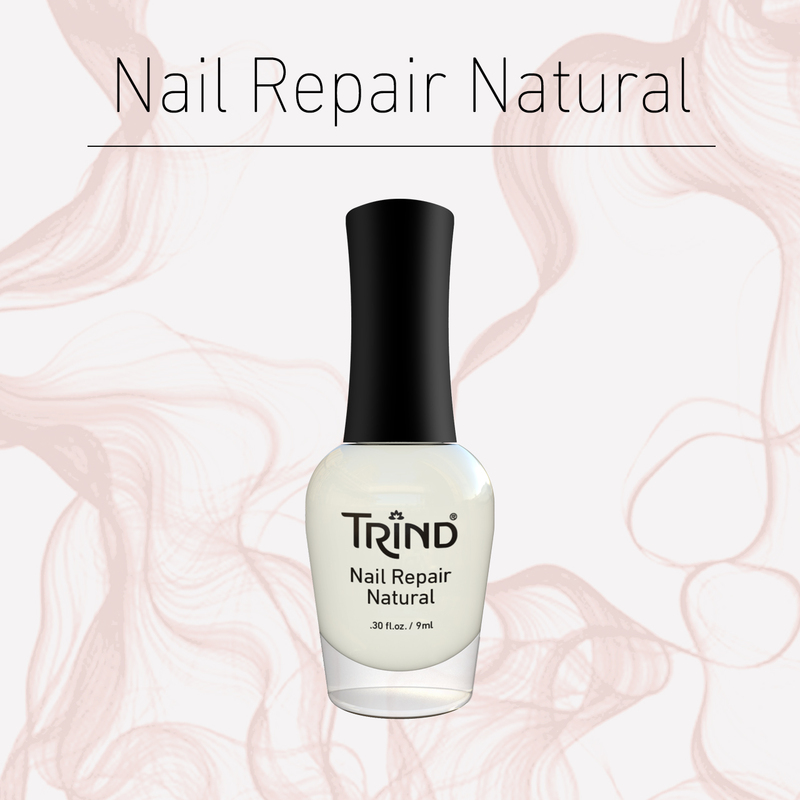 TIP: For the best results, use TRIND Nail Repair in combination with TRIND Nail Balsam.